So I bought one bottle. After that bottle was gone that evening, I was kicking myself for not buying a case! I do not know how the winemakers are able to make a wine this good and sell it for this price, but they do. 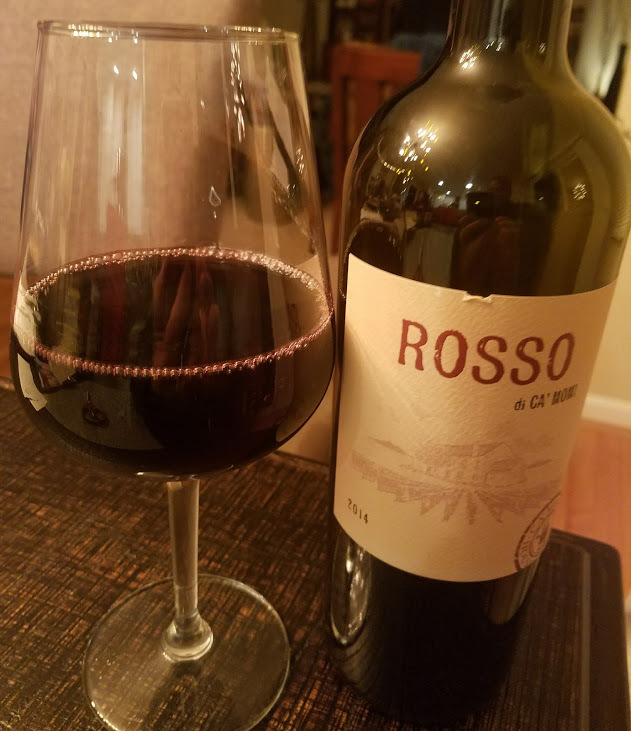 The minute I pulled the cork I knew this was a winner: deep, dark and almost purple in the glass, with juicy berry aromas and a touch of licorice. Yum! This wine is rich and smooth with spicy black cherry flavors, a little clove and cinnamon, and a lingering mocha finish. Now, about the name. Ca’ Momi is Italian for “House of Momi,” and honors the family and heritage of founders Valentina Guolo-Migotto, Dario De Conti and Stefano Migotto, who started the winery together in 2006 to bring the passion and tradition of Italy to the Napa Valley. The result is an award-winning blend of Cabernet Sauvignon, Zinfandel, Merlot and Petite Sirah, that has become one of my favorites. On my five-cork scale based on taste and value, I give the 2014 Ca’ Momi Rosso four corks. It’s a great wine at an unbelievable price!